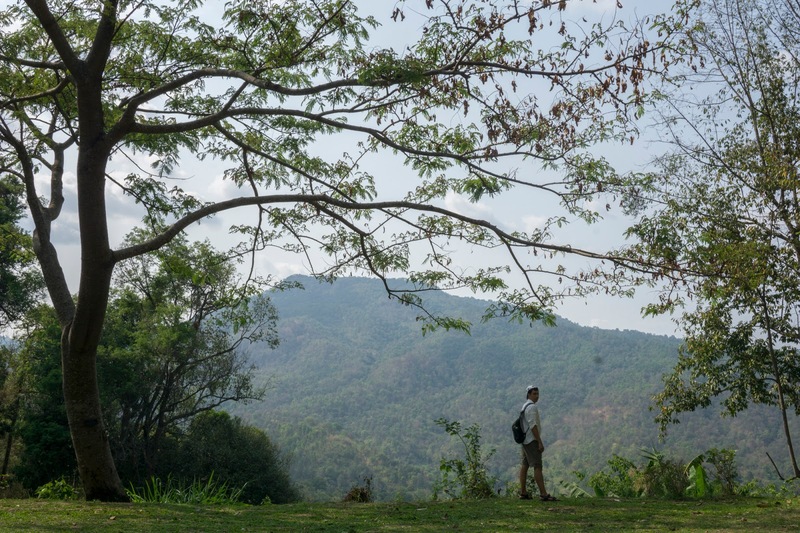 A mere half hour skip and a hop to the district of Mae Rim, where we enjoyed Chiang Mai’s surrounding countryside for four nights. 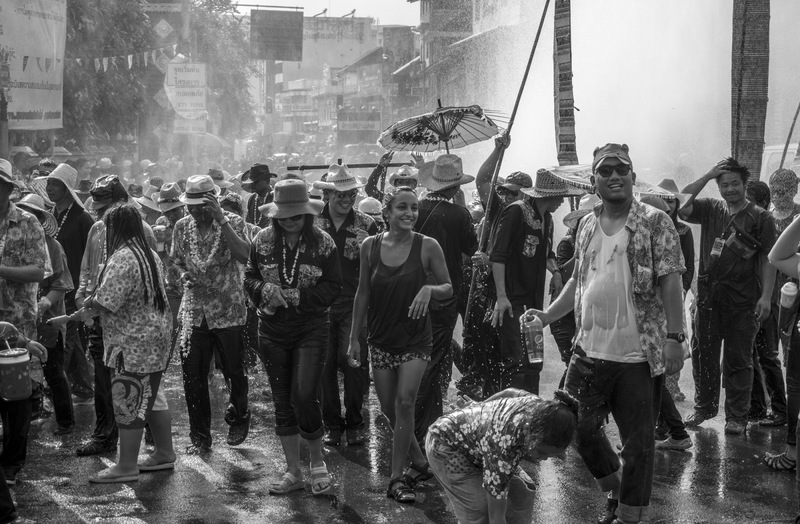 Then back into the hot and sodden mayhem of Chiang Mai city for three days of Songkran Festival (Thai new year) celebrations. 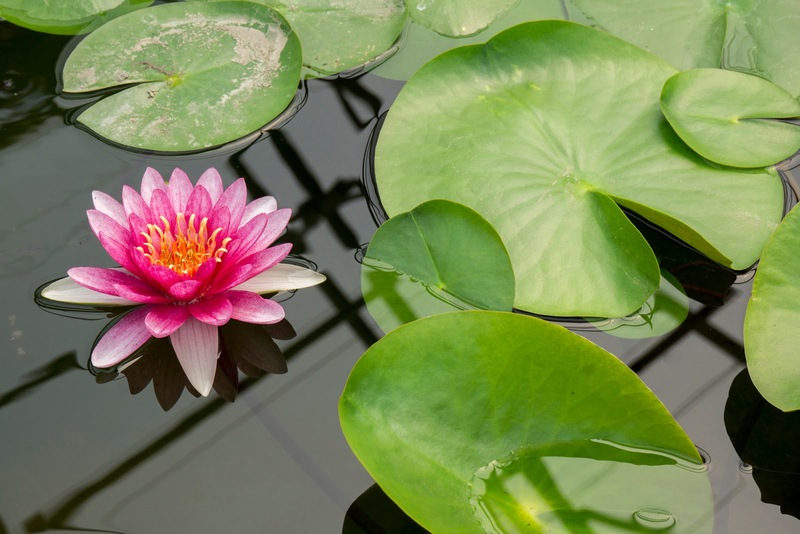 The themes for this week have been: wildlife and water. If I haven’t mentioned it before, I’m a big fan of Mother Nature and all her work. Give me a forest and a trekking trail and I’m just as happy as when in front of good food. 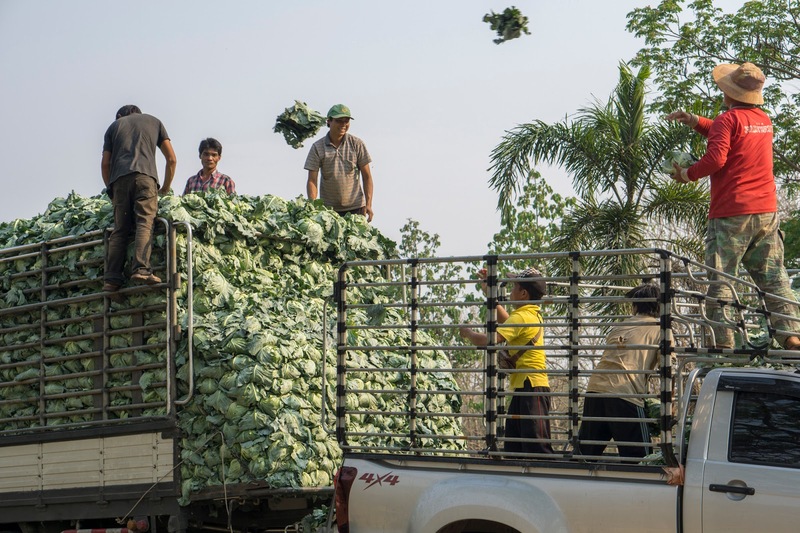 To feed this second passion, we spent a few days in the district of Mae Rim in the hills and countryside surrounding Chiang Mai city, staying in a private bungalow in the glorious grounds of Ban Rai Tin Thai Ngarm Eco Lodge. Here, £30 a night gets you two balconies, very comfortable lodgings, sensational views, and the night chorus of Thailand’s wildlife. 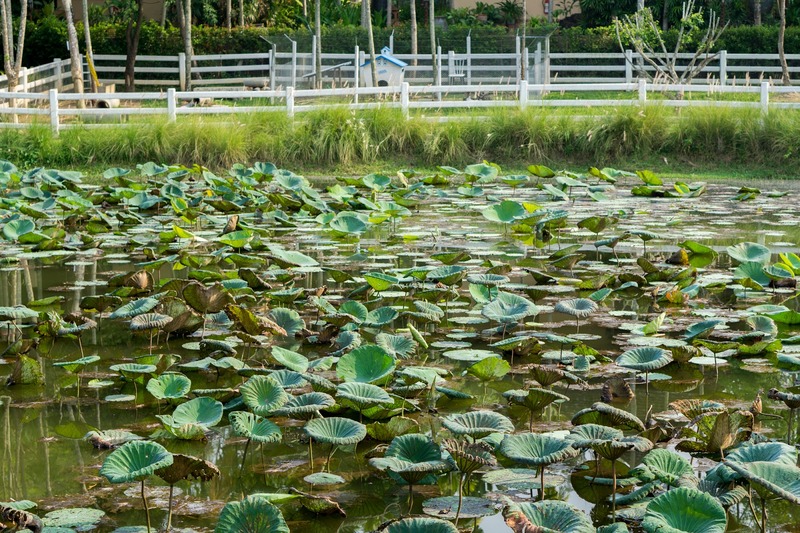 On the agenda, orchid farms, elephant poo park (you heard – see Did you know? 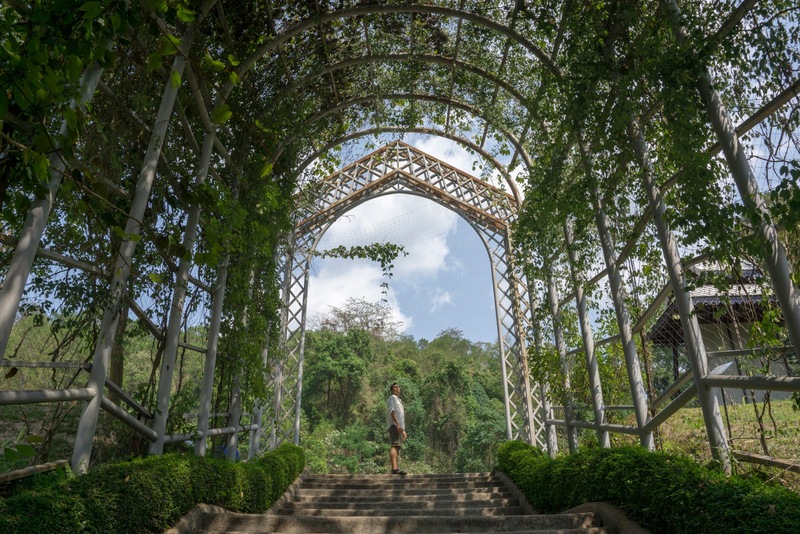 below), cycling, and the indisputable highlight of this area, the Queen Sirikit Botanic Gardens, found at the foothills of the mist-shrouded Doi Suthep-Pui mountains. 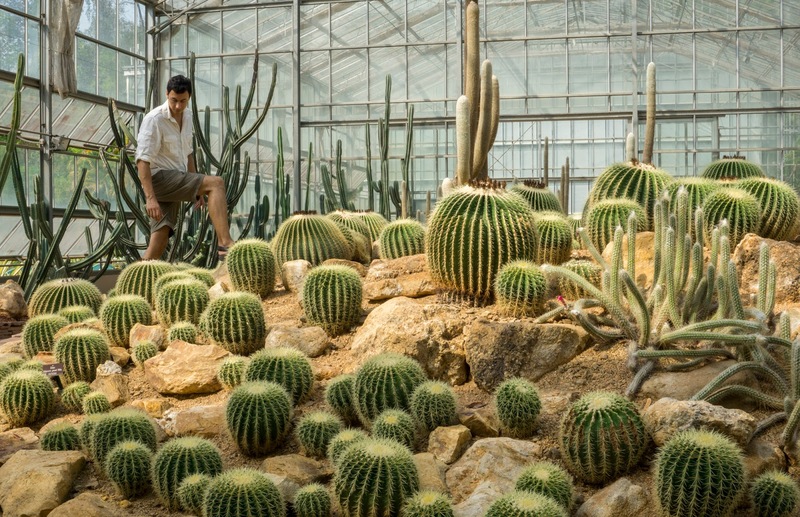 It’s a sprawling 1000 hectares of vegetation, a complex of great grand greenhouses, forest trails, gardens, incredible hilltop views, streams, waterfalls and a whole load more. If you’re into wildlife and walking, this place is amazing – we spent a good five hours here. It’s a do-not-miss if this is your bag and you find yourself near Chiang Mai. Incidentally, we didn’t have to pay an entrance fee because it was Songkran, and the place was deserted for the same reason. Jackpot. Tip: do not leave until you’ve descended along the trail through the cool and wet fern garden. 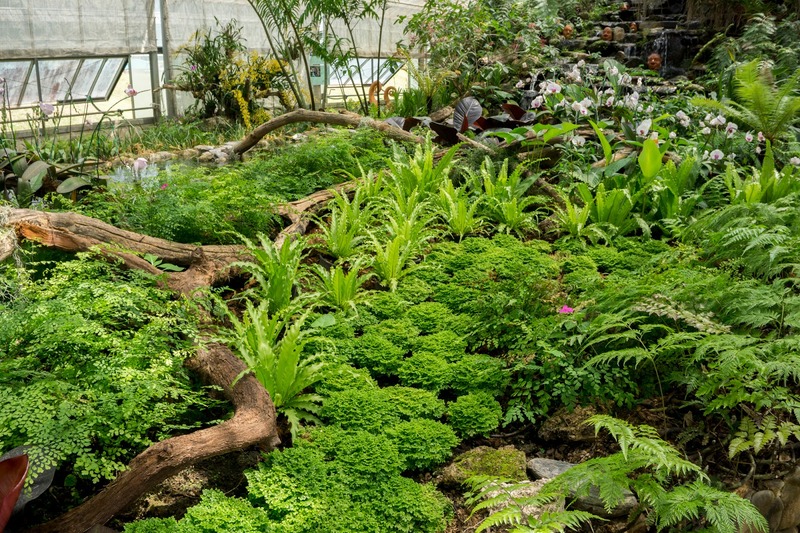 An achingly beautiful multi-level moss-covered verdant wonderland in dappled shade, carpeted by ferns of every shape and colour, with dew collecting on leaves and trees reaching for the sky. 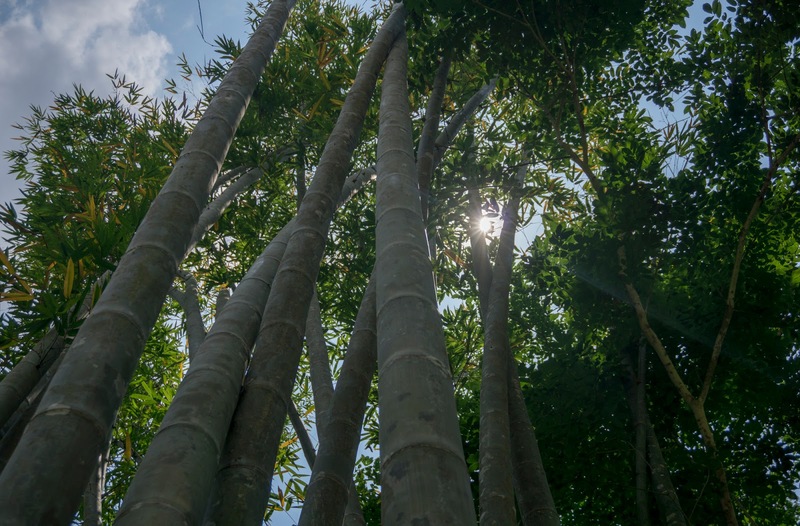 You’ll feel like an explorer in the depths of the jungle. So very excellent. Also on the agenda in Mae Rim, dancing with 70 ladies from the local village. On our first evening at the eco-lodge, our host Petchara invited us to join her and ‘some friends’ from the village at a party. She mentioned there’d be dancing. 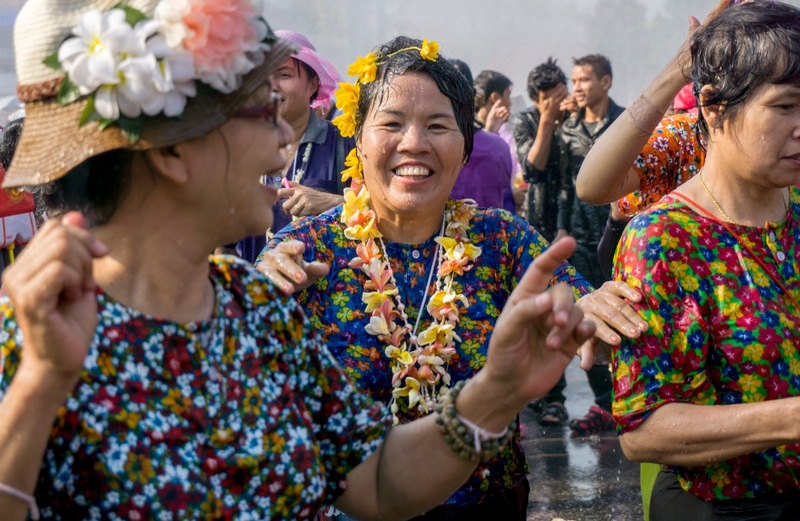 It turns out a group of about 70 ladies get together each evening for an hour’s worth of al fresco boogying to traditional Thai folk music, between 6-7, as part of a fitness regime. 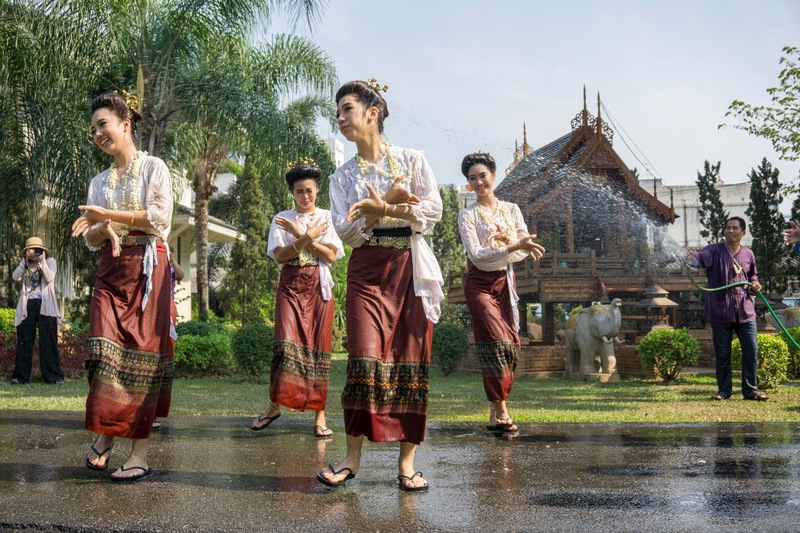 Before they start throwing shapes, they get their waists and weight measured, monitoring how much they lose over time; a sort of outdoor Thai WeightWatchers club. The only foreigner for miles around, I was of course encouraged to join in. They were very accommodating and didn’t laugh at me when I got all the moves wrong. Dancing for an hour when you don’t have a clue what you’re doing is hot work in 35C heat, but good fun. There was also loads of food after as well as traditional and gentle Songkran water blessings from the village elders. 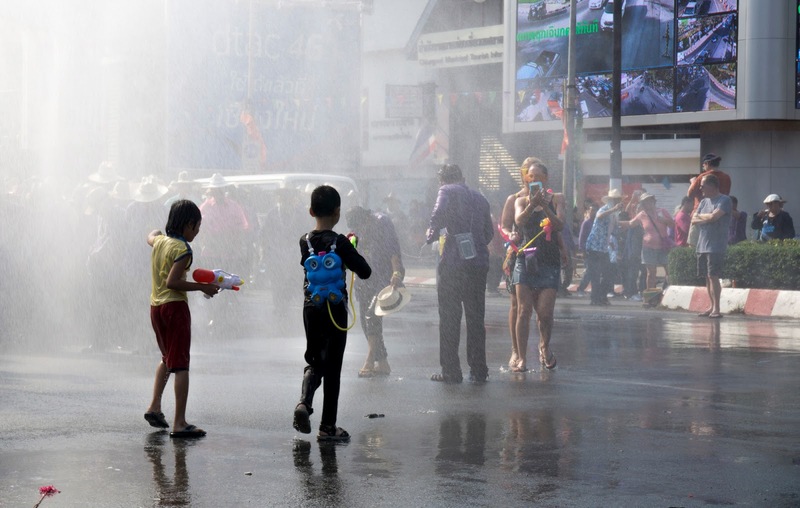 And then it was back to Chiang Mai city for three days of Songkran (Thai new year) celebrations. And what a lot of fun that was. 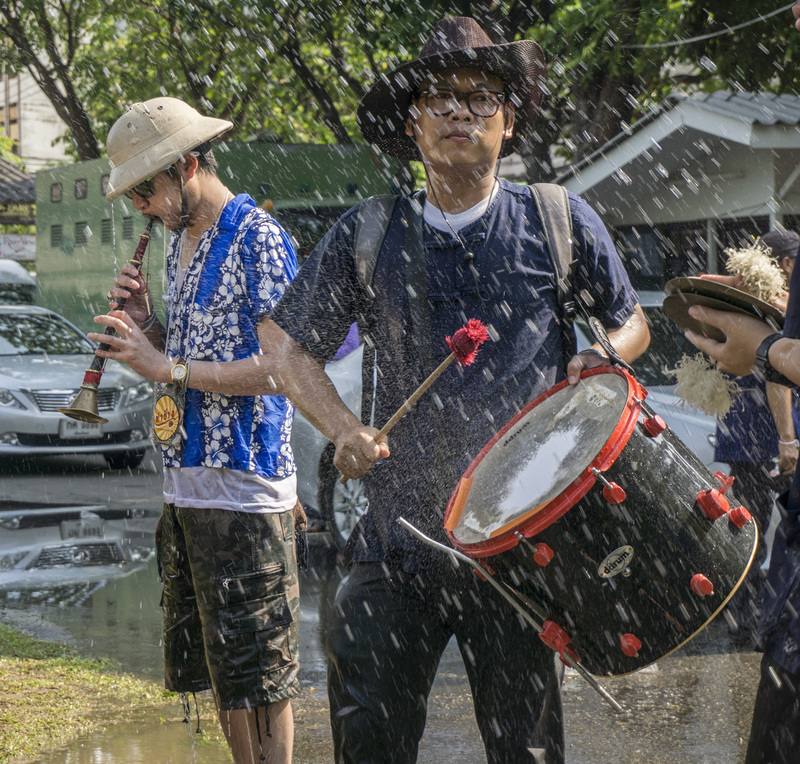 On the third day we stumbled across the Songkran city parade, where groups representing local businesses were dressed up to the nines, simultaneously dancing to the live music and getting a hose down on the march to the temple, where the city governor was waiting to receive and bless them (with more water, of course). 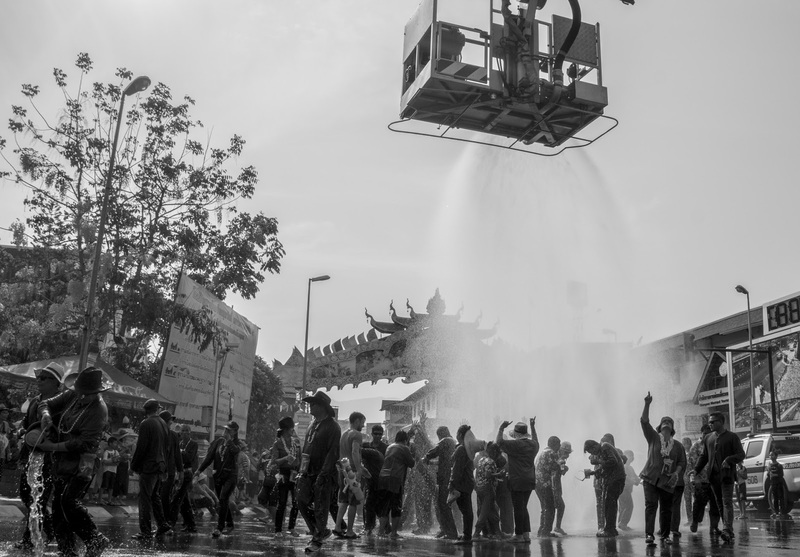 But the best bit was the local fire engine getting involved, the source of a deluge of fine spray over the city centre, beneath which revellers of all ages were gathering to cool down (it was pushing 42C that day), party on and join in the carnival spirit. 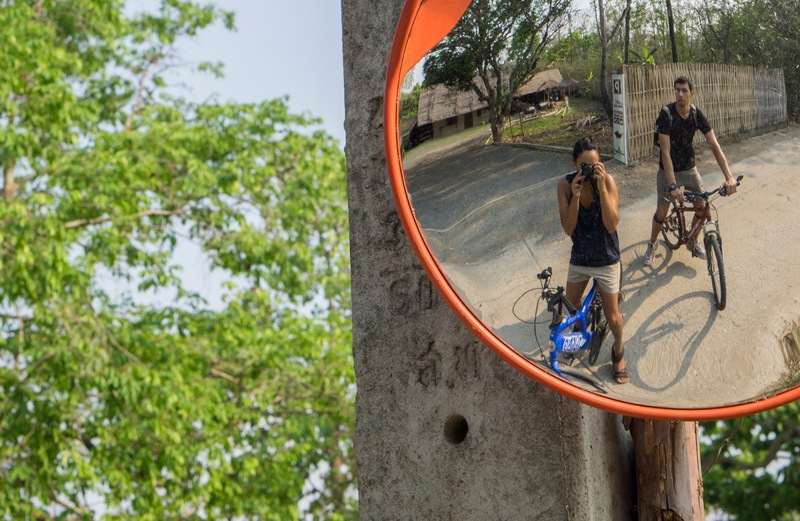 It was only by complete fluke that we happened to make travel plans that had us not only in Thailand for Thai new year, but also in one of the cities with the biggest celebrations for it. 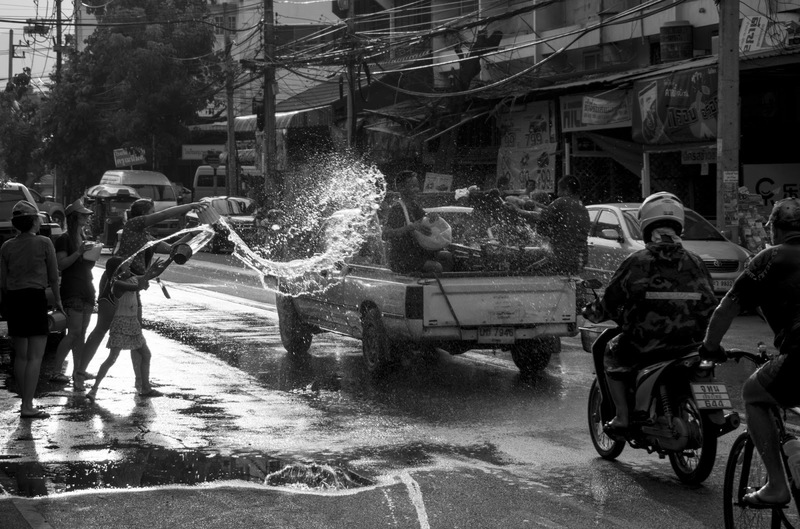 I had never even heard of Songkran two weeks ago. Some very good eating was had at the bottom of a small hill surrounded by fields and greenery at little place called Baa Baa Black Cafe. A whole section of their menu is labelled as ‘Grandma’s Cookbook’; it’s one of those you want to order everything from. 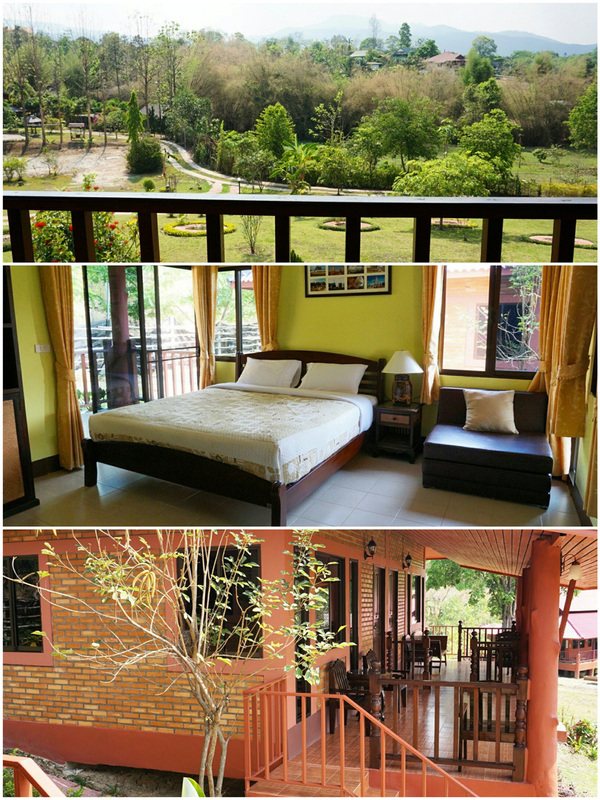 Vibrant, beautifully presented, good value, and in the unrivalled setting of the Chiang Mai countryside. Our host Petchara and her staff rustled up dinner on a couple of nights where we’d been out trekking all day and the thought of venturing to a restaurant was just too much. There was goon chiang (sausage), made with pork meat and hard pork fat, seasoned with sugar, salt, pepper, garlic and Chinese spices. It’s pretty sweet, but worked well with raw onions, tomatoes, cashews, lime and fish sauce. There was also a life affirming bowl of khao tom – Thai rice soup – for breakfast one morning, with chicken, chicken broth, vegetables. All of the comfort. 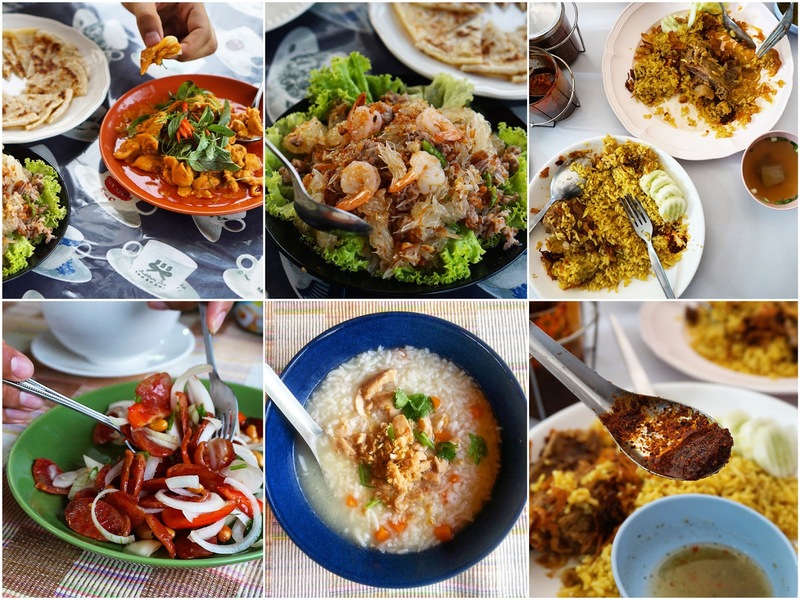 I’ve already dedicated a big section of last week’s post to eating in Chiang Mai. But here’s another great find. Khao mok, which is Thai biryani. Had at At Khaosoi Islam, down as the best place for it in town. Expertly spiced rice, tender meat (we tried it with goat and beef), topped with crisp fried shallots and coriander. With it, a sweet and sour side sauce of coriander and mint, to spoon over your rice. To this I added a few generous dollops of pounded dry roasted chillies mixed with a bit of oil. Like gunpowder chutney; lovely stuff. Khao Soi Islam, Thanon Charoenprathet Soi 1, Chiang Mai (close to the night bazaar in the centre of the city). I donned my apron and kicked off my shoes for a spot of barefoot Thai cooking at Basil Cookery School this week. A bubbly and uber-tattooed Apple picked us students from their respective hotels and stopped off at a local market to source the evening’s ingredients. 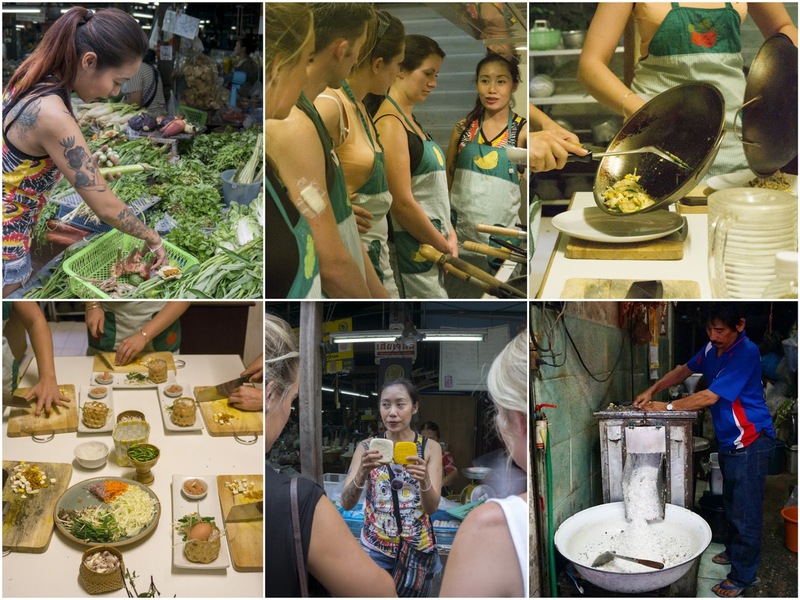 She talked us through the key elements to Thai cooking, cracked a few jokes, then packaged us off to the cookery school to put in practice what we’d learnt. 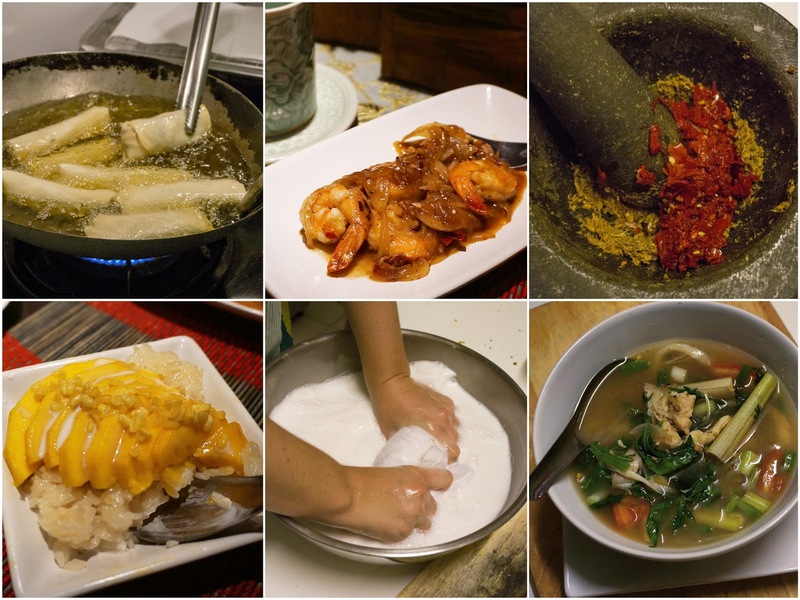 There are a whole load of cookery schools available in Chiang Mai, but Basil Cookery School caught my attention for a few reasons. Firstly, it’s an intimate group of no more than six students. Whilst at the market, I saw a dozen or so much larger cookery class groups, with numbers pushing 10-15. Secondly, each student makes seven plates of food (one of these being a from-scratch curry paste). But the key thing here is attendees get to choose what they cook. There are three options from each of the following: noodles, curry, stir-fry, soup, appetizer, dessert. You make your choice in the van at the start, and Apple buys the ingredients at the market accordingly. I’ve never come across a cooking class where students are cooking different things at any one time. It gives a freedom of choice and Apple did a great job overseeing it all. We even made coconut milk from a kilo of freshly dessicated coconut bought from a vendor at the market. Some of my favourite dishes from this evening class: tom sap gai yang, an Isaan hot and sour roast chicken soup. Sour with tamarind and lime – extra sour for me please. Kung ma kaam, stir-fried prawns in a tamarind sauce. Under on the sugar, over on the tamarind. And no Thai meal is complete without some khao niaow ma muang, mango sticky rice, topped with crunchy fried mung beans. I simply cannot get enough of these Asian mangoes. Exquisite. Classes run Mon – Sat from 9.00 – 15.00 (morning class) or 16.00 – 20.30 (evening class) and cost 1000 Baht (about £20) per person. It includes hotel pick-up and drop off (within 3km) and a recipe book to take home. Note: This class was kindly hosted by Basil Cookery School. All views are my own. 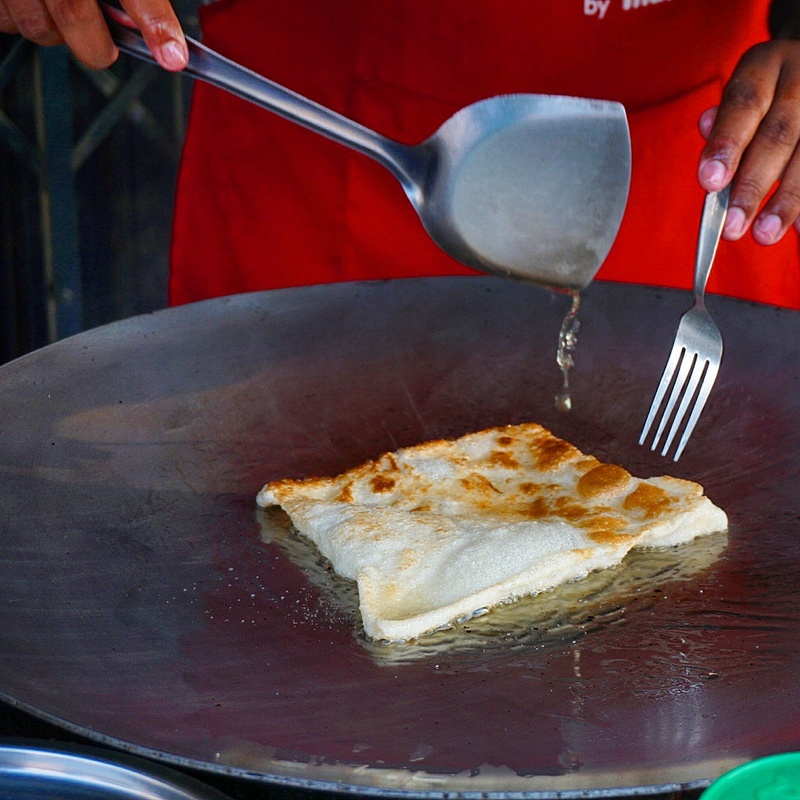 There’s a good amount of Chiang Mai street food covered in last week’s post. But this week, I treated myself to some Thai-Muslim roti from a street stall, of which there are quite a few dotted around. You can have them plain or stuffed with all manner of sweet or savoury goodies: banana, chocolate chips, egg, marmalade, corn, cheese, something called milo which seems to be similar to Nesquik milkshake powder. Next time I’m getting one with a mataba filling: diced potato, beef, seasoned with curry – a Southern Thailand speciality. The dough itself has no sugar added, so if you’ve gone for a sweet stuffing, there’s the option of dousing in condensed milk should you fancy it. Paper can be made from animal poo – who knew. It actually makes perfect sense. To make paper, you need fibres of some sort. These days we use wood, but in the past these fibres have come from scraps of rags, corn husks, hemp, flax, nettles to name a few. 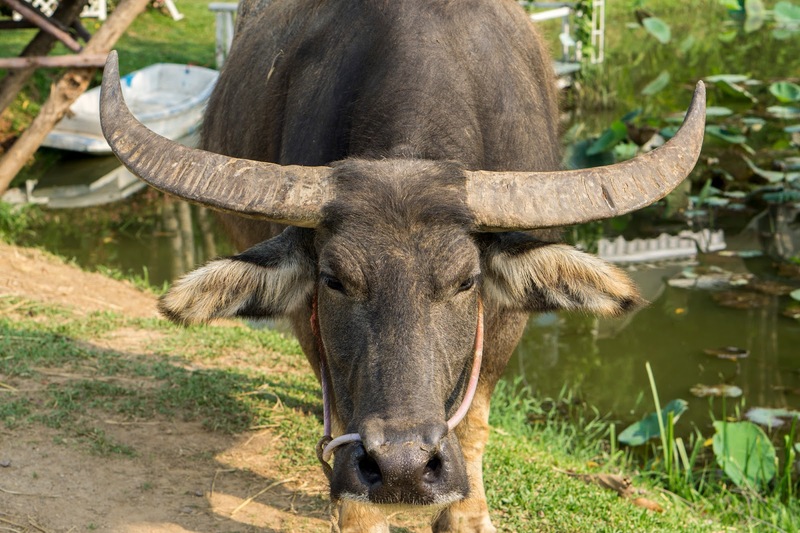 The poo of herbivorous animals (elephants, horses, cows etc.) contain a lot of undigested fibrous plant matter, which after being boiled down and cleaned up, makes for some pretty good paper pulp. Better for the world than cutting down trees. 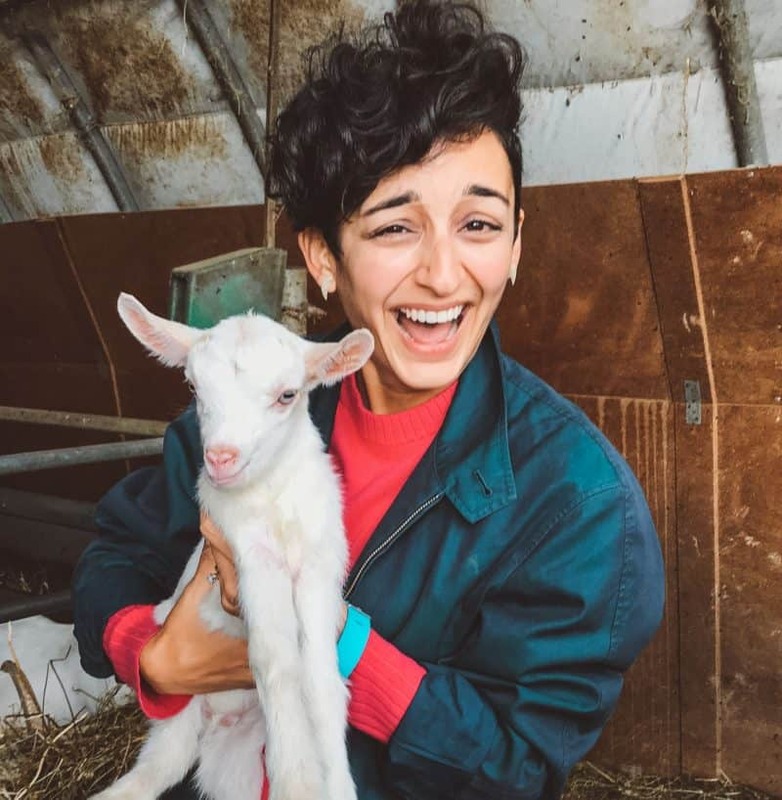 Elephant POOPOOPAPER Park manages to encompass eco-tourism, history and culture, artisan crafts, education, hands-on paper making, a unique shopping experience (loads of poo paper products that would make great gifts) and as many poo puns as you can shake a stick at. It’s only 100 Baht (about £2) to get in, and if learning about this type of thing and having a go yourself is your bag, it’s good fun. 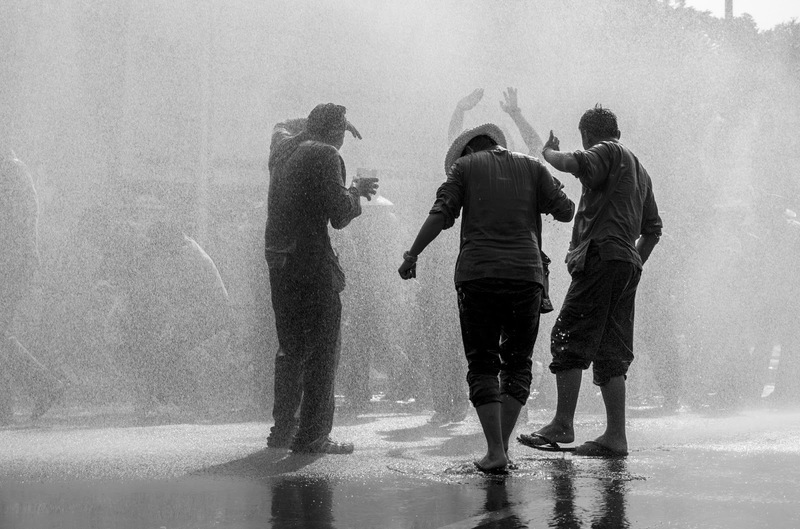 Don’t be a party-pooper and stay indoors if you happen to find yourself in Thailand during Songkran. Instead, buy a waterproof pouch for your phone and wallet (you can get them in Thailand) or invest in a dry sack to hold bigger items, put on clothes you don’t mind getting soaked and can easily wash after, and head outdoors. 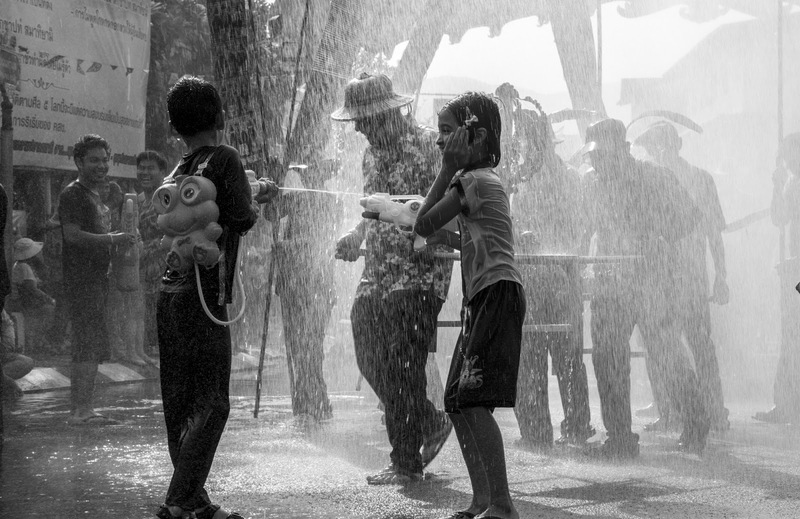 If you’re in Chiang Mai, my advice would be to avoid the moat as super-soakers and water guns will refuel from it, and it’s not the cleanest. Instead, wonder the rest of the streets and you’ll get wet from the much cleaner tap water. Either way, you don’t want to end up swallowing any of it, so be conscious of that. Also, sitting in a restaurant in sodden clothes after the sun has gone down isn’t huge amounts of fun. So, if you plan to stay out after getting a soaking, I’d suggest wrapping up a spare set of dry clothes to change into. Highlight. 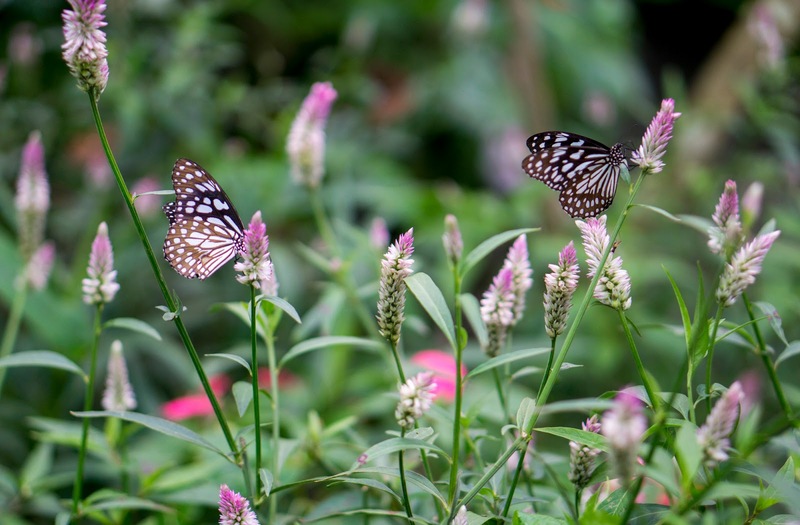 Apart from the final day of Songkran celebrations in Chiang Mai which was huge amounts of fun (see image of the week picture), I really enjoyed the Siam Insect Zoo in Mae Rim. 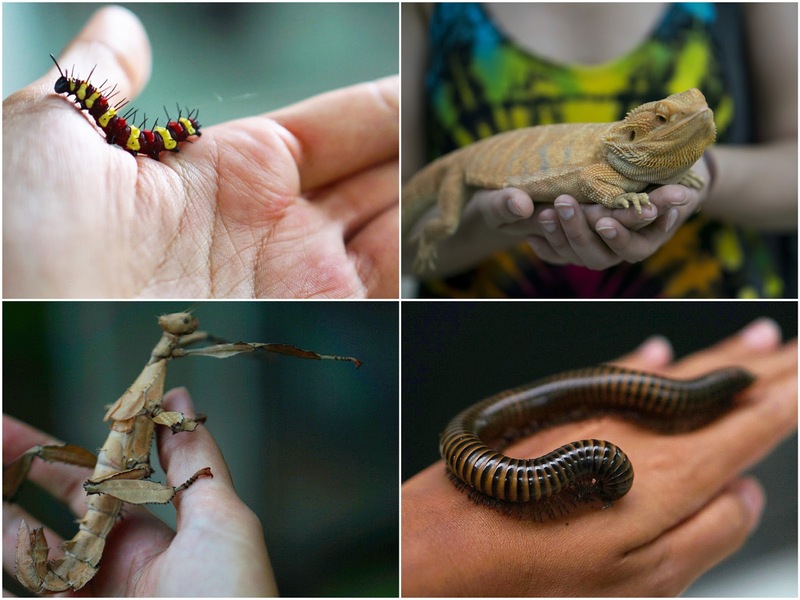 It’s a chance to get up close and personal to a whole host of critters: scorpions, beetles, stick insects, lizards, a glorious butterfly enclosure. 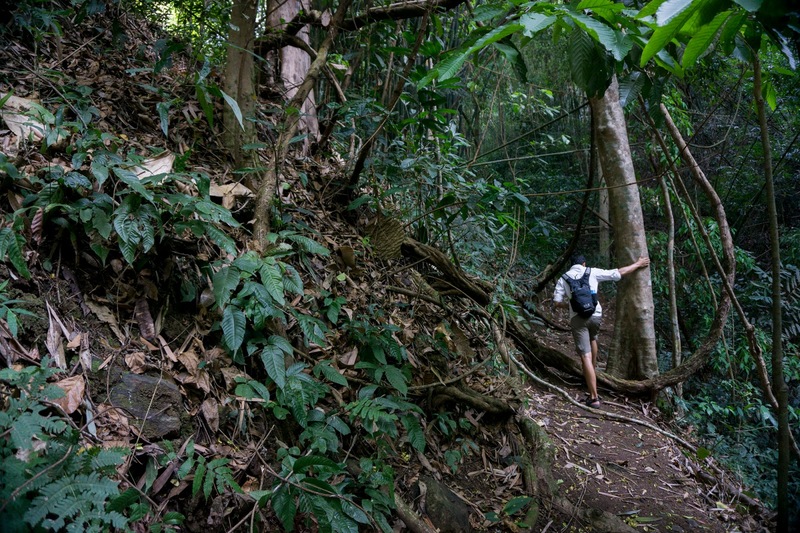 When I was younger and I used to fantasise about hiking the Amazon, my dad would say to me ‘how do you expect to go trekking in the jungle if you’re scared of a little spider in your room?’ Good point. I hate spiders, but more specifically, tarantulas. Well, dad, I swallowed my fear of these godforsaken beasts and shined a torch into a few of their murky tanks, where hairy ones the size of my palm were picking their way over old bits of wood and earth. Hideous creatures, the spawn of Satan, and still the stuff of my nightmares. But all other creepy crawlies, big fan. Lowlight. This week has been very good to us, but there was one single moment of great fear. 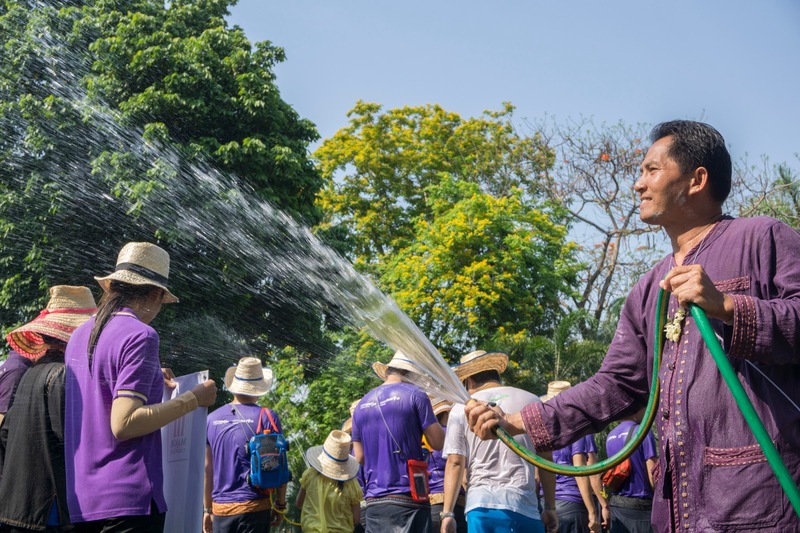 The annual water-throwing festivities of Songkran started a day earlier than we were expecting in Mae Rim. We’d just got to the end of our road on the bicycles and turned the corner, when we were very unexpectedly launched upon. A whole bucket of water went directly over my camera, which was strapped across my chest. The people who threw it were apologetic – most tend to be careful, or avoid you altogether, if they see you’re carrying something valuable that could get damaged. But thank the powers that be, there was no harm done. There could have been some serious tears though. 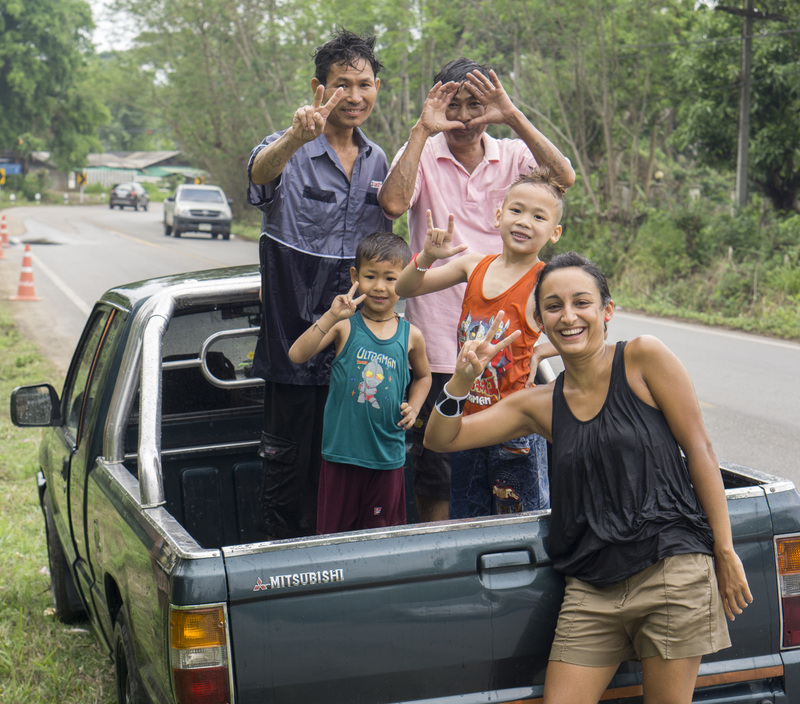 getting drenched in the Chiang Mai countryside, along with all the locals. 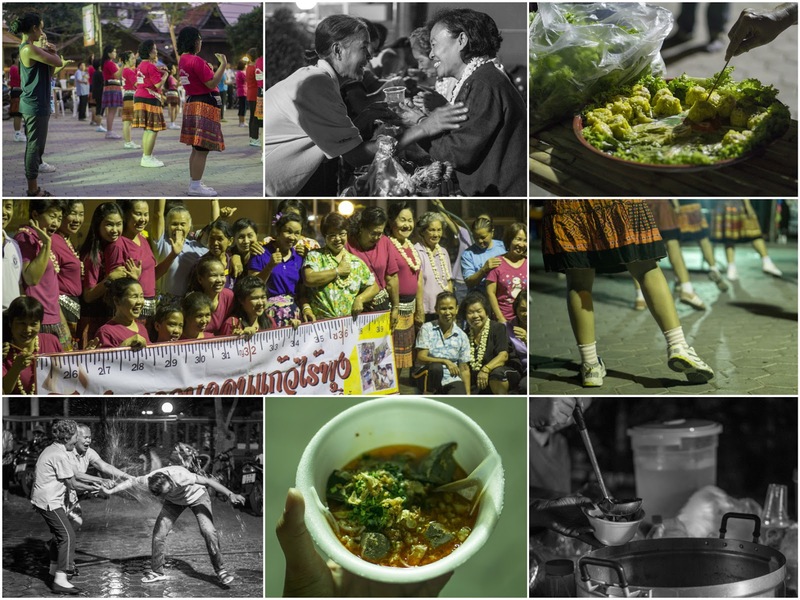 Fifteen days spent in Chiang Mai province (eleven of those in the city) has come to an end. It’s a glorious part of the world, but it’s time to move on.